Blueberry season is in full swing and I couldn’t be happier! 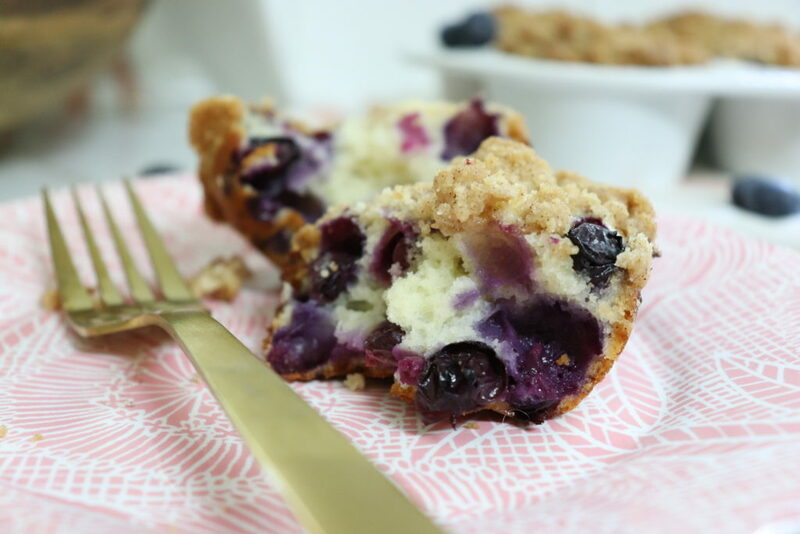 They are my favorite fruit to bake with for breakfast and dessert recipes. 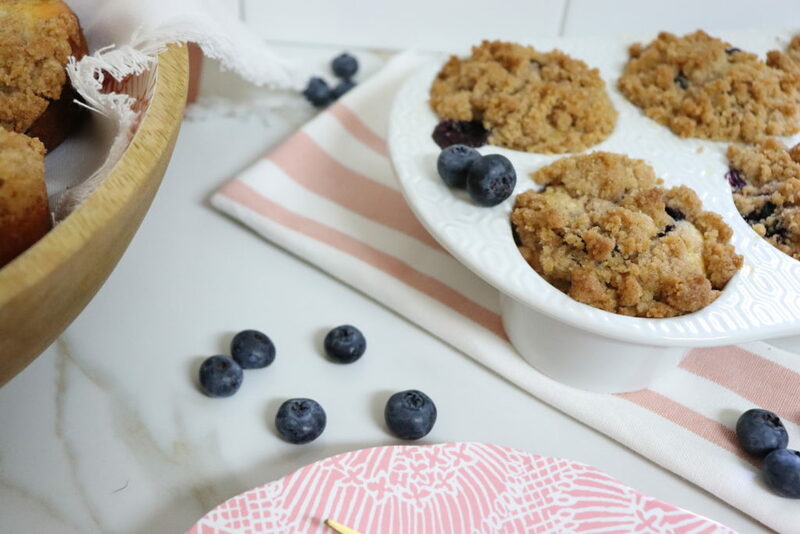 After the fresh blueberries, the best part of this Blueberry Crumble Muffin recipe is the homemade crumble topping. 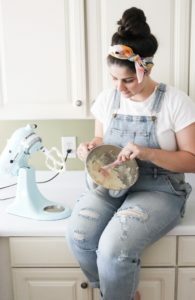 Crumble topping is so fun to make and I love that it adds extra texture to my favorite baked goods. This is a large batch recipe because I needed to use up the remaining flour inside of my flour jar to make way for a new bag so it yields 18 regular sized muffins. However, the recipe can be cut in half to yield 9 muffins. Another great thing about this recipe is that they last through the week. 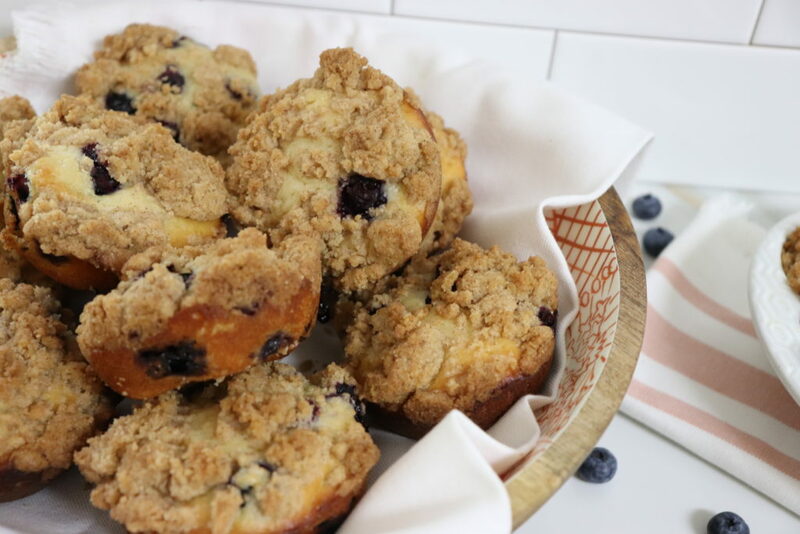 You can enjoy them for Sunday breakfast and then pop them in the microwave for a few seconds to enjoy on your way out the door for the remainder of the week. In a large mixing bowl, whisk together eggs & sugar until combined. Then whisk in yogurt, vegetable oil & vanilla extract. Fold in flour, baking powder & pink Himalayan salt. 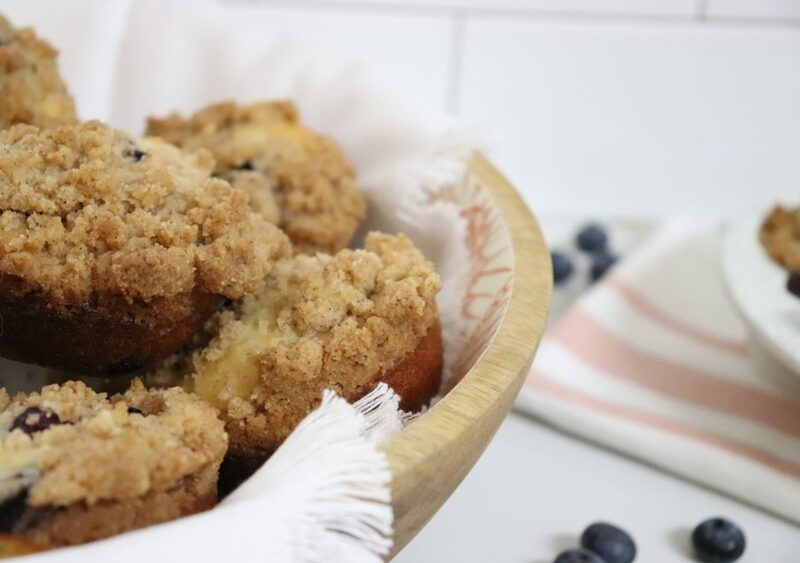 In a separate, small bowl - combine 1 1/2 cups blueberries & 1 tbsp flour & toss to coat. Add batter into greased/sprayed muffin pan filling each 2/3 full. Add remaining blueberries to the top of the batter. Bake 19-23 minutes or until toothpick test is clean.